KILMURRY-Ibrickane held on to the O’Gorman Cup when they proved too strong for their rivals Doonbeg at Cooraclare on Saturday evening. Goals either side of halftime from Mark McCarthy turned this game in their favour to leave little doubt about the outcome. An indication of their dominance is the fact that 10 minutes from the end, the score was 2-7 to 0-1 in the title holders’ favour. A condition of this 13-a-side competition is that participants play without their senior inter-county panellists so this meant Dermot O’Brien, Peter O’Dwyer, Martin McMahon, Enda Coughlan (Kilmurry-Ibrickane); Conor Whelan, David Tubridy and Frank O’Dea (Doonbeg) were all absent. In addition, Doonbeg didn’t have the experienced Pádraig Gallagher in their line-up due to injury. The game started at a lively pace with Doonbeg having the better of the exchanges and they took the lead in the fifth minute when Brian Dillon converted a 35 metre free. Kilmurry had to wait until the end of the first quarter for the equaliser, which came from a 45 converted by their goalkeeper, Ian McInerney. Early in the second quarter, things became a little heated and referee Tom Stackpool issued four yellow cards in a matter of a few minutes as the game threatened to boil over. Three minutes from the break Johnnie Daly put Kilmurry-Ibrickane into the lead and two minutes later, they struck a decisive blow. Doonbeg lost possession at midfield and Kilmurry quickly launched an attack, which ended with Michael O‘Dwyer passing to Mark McCarthy, who blasted past Nigel Dillon. O’Dwyer followed with a point to leave the halftime score at 1-3 to 0-1 in Kilmurry’s favour. Kilmurry piled on the pressure at the start of the second half and should have had a second goal after just 20 seconds but Dillon saved well from McCarthy. Twenty seconds later there was nothing he could do to prevent McCarthy from getting his second and now the Magpies had a mountain to climb. Points followed from Johnnie Daly (free), Michael Hogan (free), Stephen Moloney and Thomas O’Connor to leave the side 2-7 to 0-1 ahead at the three-quarter stage. The Magpies were clearly in need of something and in an effort to improve matters, they introduced Michael Conway and Jim Bob Griffin. With a 12-point advantage, Kilmurry availed of the opportunity to bring in some of their substitutes and in the final quarter they introduced Brendan O’Neill, Aidan Moloney Junior and John Willie Sexton, while Noel Downes made a welcome return following injury. 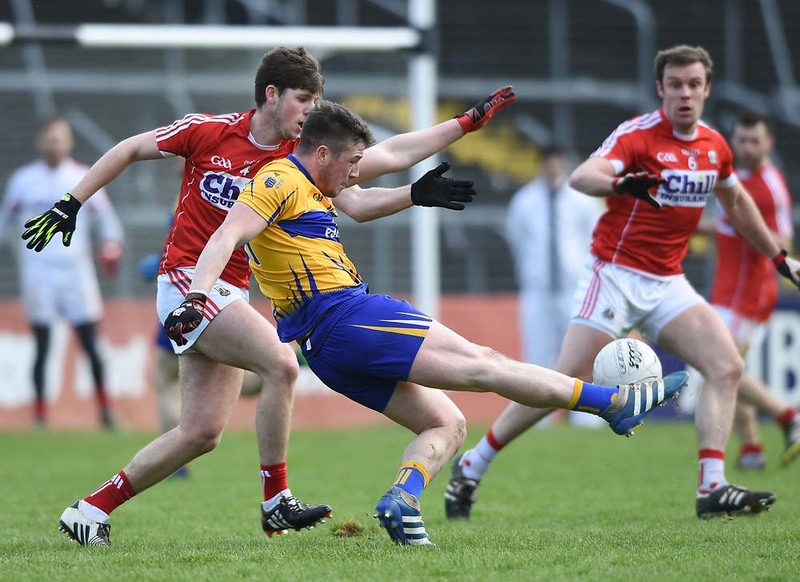 It was also interesting to note that the experienced Odran O’Dwyer was togged and included in their panel for this one, clearly indicating that he is ready to return to action following injury. Doonbeg battled to the end and they kicked five points in the final 10 minutes but the result was clear long before this. Kilmurry-Ibrickane: Ian McInerney; Mark Killeen, Darren Hickey; Shane Hickey, Thomas O’Connor, Declan Callinan; Paul O’Connor (captain) Keith King; Michael Hogan, Mark McCarthy, Stephen Moloney; Johnnie Daly, Michael O’Dwyer. Subs: Evan Talty for Callinan (inj) 35 minutes; Noel Downes for Daly (46 minutes); Brendan O’Neill for Killeen (49 minutes); Aidan Moloney Junior for Hogan (50 minutes); John W Sexton for T O’Connor (54 minutes). Scorers: Mark McCarthy (2-0), Johnnie Daly (0-2), one free; Ian McInerney (free), Michael Hogan (free), Shane Hickey, Thomas O’Connor, Stephen Moloney, Michael O’Dwyer, (0-1) each. Doonbeg: Nigel Dillon; Enda Doyle, Joe Blake; Ritchie Vaughan, Padraic Aherne, Brian Egan; Brian Dillon, David Downes; Eamonn Tubridy, Kevin Nugent, Shane Ryan; Jamie Whelan, Conor Downes. Subs: Jim Bob Griffin for Tubridy (halftime); Michael Conway for D Downes (45 minutes); Seán O’Dea for C Downes (45 minutes); Paul Dillon for Ryan (54 minutes). Scorers: Brian Dillon (frees), Paul Dillon (one free), 0-2 each; Padraic Aherne, Seán O’Dea (0-1) each.